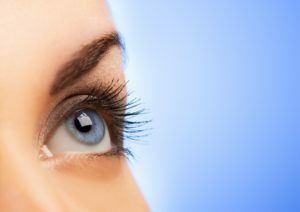 What Are Eye Floaters? Are They Serious? Eye floaters are tiny dots, lines, specks and “cobwebs” that appear as dark shadows floating in one’s field of vision. Everyone sees floaters at one time or another, and in most cases they are harmless. However, there are some rare cases in which floaters could be signs of a serious eye problem. Elman Retina Group offers quality retinal care, including treatment of conditions associated with eye floaters. Here, our trusted retina specialist Dr. Michael J. Elman shares more information on eye floaters, including when they require medical attention. What Are Eye Floaters and What Causes Them? Floaters are tiny clumps of proteins that move around in the vitreous, which is a clear gel-like substance in the center of the eye. Although it may look like the floaters are in front of or on the eye, they are not. The dark dots and lines that we see are actually shadows that are cast onto the retina as light passes through the eye. Eye floaters can occur at any age, but they occur more frequently as we get older. Over time, the vitreous fluid in the eye breaks down, causing more floaters to appear. When Are Eye Floaters Serious? As mentioned before, eye floaters are usually harmless and are no cause for concern. They typically resolve on their own. In some cases, however, eye floaters can signal an underlying condition, such as inflammation in the eye’s interior, or diabetes. Floaters can be also be a symptom of retinal tears or detachment. Floaters associated with retinal tears or detachment occur suddenly and are frequently accompanied by light flashes. Retinal tears or detachment are considered to be a medical emergency and could result in permanent vision loss. If you experience sudden floaters or flashes of light, you should seek medical attention promptly. Elman Retina provides comprehensive retinal care for various eye conditions, including retinal detachment and retinal tears. Tears or holes in the retina can be repaired with laser surgery to prevent retinal detachment. If the retina has begun to detach, an in-office surgery called pneumatic retinopexy can be performed. If the retina is severely detached, more extensive surgical procedures may be performed: scleral buckle and/or vitrectomy. Dr. Elman can determine the best treatment option for you upon evaluating your symptoms. With over 30 years of experience, Dr. Elman has provided individualized treatment utilizing the most advanced technologies and practices. No matter what your needs are, Dr. Elman and our compassionate team are ready to provide you with safe and effective care. To learn more about our treatment options for eye floaters, please schedule an appointment with Elman Retina Group. Please contact us by calling (410) 686-3000 or emailing our Baltimore office today.